I've (occasionally) been using Ixquick since before they launched this "StartPage" thing. I also wrote a user style for it, but it doesn't seem to be completely functional anymore. Krake, is your experience with StartPage similar? However it was a short test with StartPage. Less results if any, depending on how exotic your search terms are. I've tried most search engines I've heared about in the hope that I can replace Google. Hate to say it but no chance. At least not for me. Scroogle was (untill they have been forced by Google to shut down) the only search which came close to Google (they also retrieved the answers from Google) but with one big drawback. Namely, they didn't retrieve Google's cached items. So my default search engine is Google. Besides, I have a dynamic IP. I searched once for some Russian related items and thought Yandex would offer the better results. Since I don't speak Russian I had to look up for the correct Russian spelling before I fired up Yandex. Fail. Yandex gave me less usable results in Russian than Google did in English. Simple obvious things like searching in/for a specific language become ever more difficult. ...in a change today, country-specific services no longer require that users visit a regional version of Google. Country services used to be distinguished by the country code top-level domain names (ccTLD) such as google.fr for France or google.co.uk for England. Instead of "country-specific services no longer require that users visit a regional version of Google", read: You cannot type e.g. 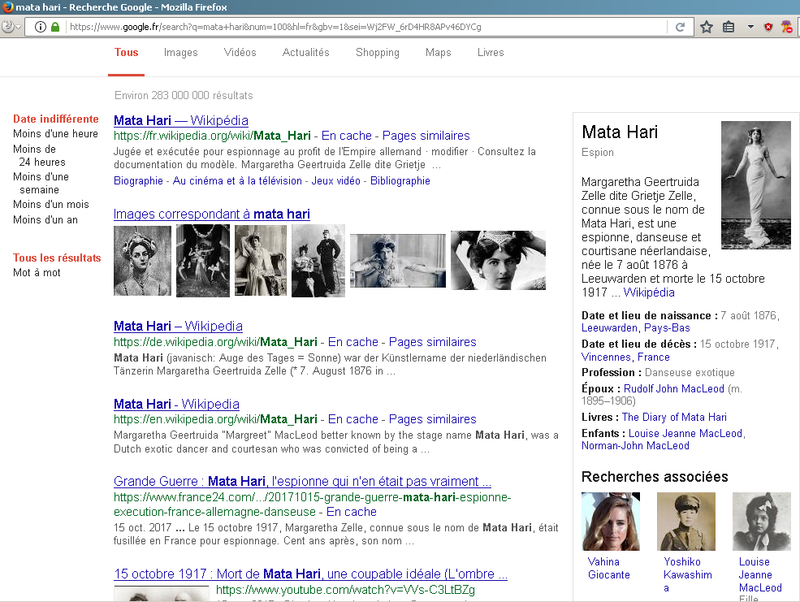 google.fr anymore and expect your search be French-specific. Whatever domain you type, Google looks at your location (IP address). Instead, users can go into settings to select the correct country service. Meanwhile, that country selection will be listed at the bottom of every search results page. Today's changes are specific to Google Search and Maps on the web and the Google iOS app, with other services like Google Earth, Gmail, and YouTube already functioning this way. To "go into settings to select the [wanted] country service" means to go into the settings of the relevant Google website, not into the settings of your browser or whatever. To make the wanted setting permanent, you have to be logged in to Google, of course. So, instead of simply typing (or having bookmarked) e.g. Google.fr to get French-specific results without any need to be logged in, you need to be logged in to have a permanent alternate setting, but since you are logged in, you cannot have a bunch of alternate settings, something that was possible by having bookmarked the search fields at google.fr, google.de, google.ru, etc. This really kills the purpose of googling - with Google - for any serious researcher. The logical continuation of user behaviour is to expand the usage of proxies and VPN's and/or move on to other search engines. And the logical continuation of that is for Google-like Corp's to try to block that route too, to move ever closer to identifying the user. Google has been surprisingly bad at searching for years. Probably because they're more of an ad company. Then Google showed me reasonable results without having to tailor it by quoting and using all kinds of stuff like in the competition of 2000. They then started showing "did you mean...?" This was great. Very convenient way to switch if you made a typo or something. But a few years ago they changed to "you typed 'search term' but clearly you meant 'other search term". So we're back to quoting. That worked for a little while, but it quickly started to include "unwanted" because "there are no search results". Which wastes my time because I've already started looking at the results only to notice they include "unwanted". Anyway, I could go on but Google's ultimately driven me to other search engines not because of privacy concerns but simply by being unusable. There are still usable Google search engines though. Google Scholar, Google Books and Google Ngrams are the most important of them. Yup, for different categories you need different search engines these days. 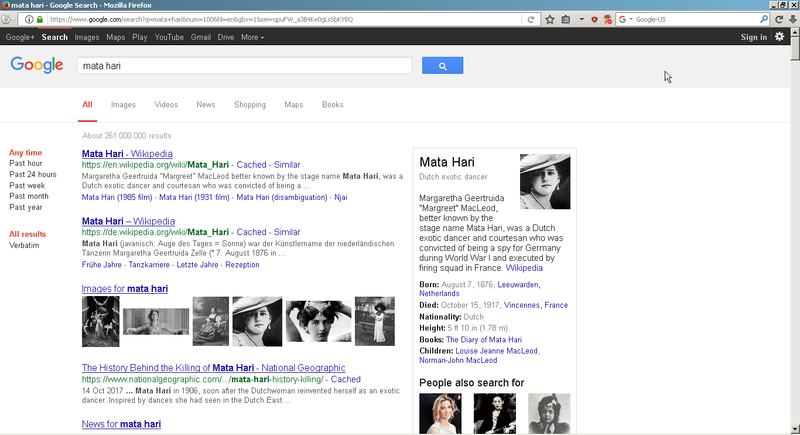 Google for Books and Scholar, Bing or Yahoo for News. For pristine/vanilla Google, turn to Duckduckgo with !g. We'll see when this stops working too. Seems like in Google Streetview you cannot create a tiny url anymore. Google's ideas are heading just one way: removal of features. To "go into settings to select the [wanted] country service" means to go into the settings of the relevant Google website, not into the settings of your browser or whatever. To make the wanted setting permanent, you have to be logged in to Google, of course. You only need different search plug-ins for the respective countries. Therefore you'll have to edit the search plug-in and add the edited search plug-ins to your browser, like Google-US, Google-DE or Google-FR. I've done so with all my browsers and it worked in the past as it works now. Anyway, what I wrote most definitely applies to a service like Google Maps. Earlier, maps.google.de used to focus Germany in the centre (that's why someone like me would specifically type .de there). 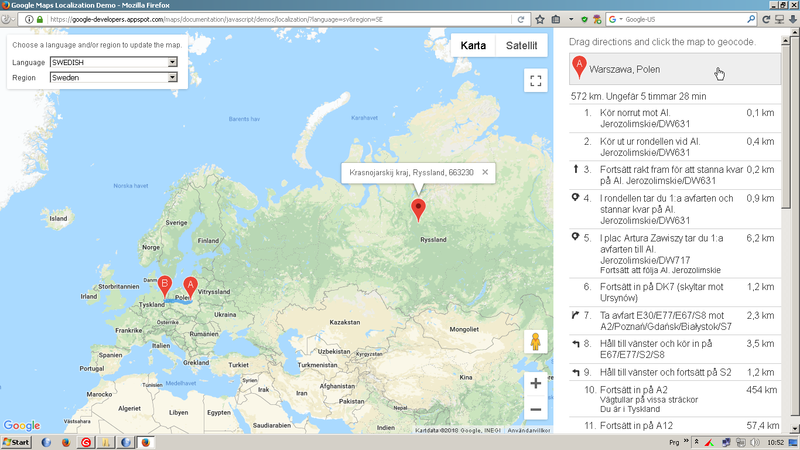 Now, whatever country code you type, Google displays the content according to your IP: there's .de in the URL, but the language of the maps is according to the IP and it disregards the fact that I prefer another language, as I indicated in the url. According to the announcement, this "feature" will pervade all Google services. Edit: Please bear in mind that I have professional needs. I have a professional need, for example, to see Maps in Swedish, with place names in Swedish, like Ryssland instead of Russia or Venemaa, but now this professionally useful feature has been taken away. Yes, I can change the language somewhere in the settings, but this is only preserved as long as the browser cookies are preserved. The url way was by far more efficient, not to mention secure. Google (and the EU) have taken a special liking in forcing cookies upon people. Moreover, webbrowsers have a language header that they send to websites to indicate which language the user prefers. Google decidedly ignores this, even though using it would make Google services so much more sensible. They likely ignore it precisely in order to throw all sensibility out of the window. I mean the language indicator and domain indicator contained in the search plugin located in the browser's profile folder. in Opera Presto you can simply add the search strings while in Firefox or PaleMoon you will have to add search plugins after you modified them at your like. I can't tell for other browsers I don't use but the principle should be much alike. In Firefox and its forks the search plugin is a simple .xml file loaded during browser start and added to a search.json file. You should get google.fr. You can replace the search term "lolo+bono" with one of your like. The above is only a test. With the appropriate search plugin you have to enter only the search term in your browser's address bar. Sorry, I don't use Google maps and can't be of help. However, a first search revealed that with some programming skills it would be possible. The way I test it is to leave the search term as is and replace fr's with, say, fi's. The result: It shows the same results, you only get the ads in Finnish now. Conclusion: Language-specific searches have stopped working. Not possible without identification via cookies or an unbroken interactive connection. The result: It shows the same results, you only get the ads in Finnish now. Conclusion: Language-specific searches have stopped working. The same results, only ads in Finish you say? I don't get ads in the first place. Does google.fr throw Finish sites for you? Or does google.fi throw French sites? If you see similarities among search results for different country domains, that's how Google search is designed to work. It's no much difference how it used to work a decade ago and how it works today. Ads in Google search engine are among the top ones. But of course in a browser with adblock I don't get ads, not even the sidebar the way you do. The language settings in Google search used to work as follows: After choosing the preferred language, you would get results in the relevant language and from the relevant country. In your examples (and in my tests), the languages are all over the place regardless of the language settings. The user-set language is included, but not distinctly preferred. By the way, I found a halfway workaround to the Google Maps problem. 5. Copy the full url from the addressbar and bookmark it for further use. This way you get a url that centres to that region. But language settings do not get codified this way, when picking them under step 3. Obviously a major step backwards by Google. Using the above search string, I don't get ads (except sometimes one or max two at the top) even if I disable uBlock Origin (which blocks ads too). No adds on the sidebar as you falsely assume , whether with scripting enabled or disabled and without any ad blocker. Great but as mentioned before I have little use for GoogleMaps. The only service offered by Google I use is their search and I do so only on occasions when it outperforms other search engines. I like to search for areas that you can't see, blocked. Finding those areas reveals a lot. I don't trust switching an adblock on and off. I have whole separate browsers, one with adblock, another without, and I occasionally try clean profiles. I do my level best to make internet workable the way I need it, but then at times I have to see the webpage the way it's presented to a dumbuser. That's one of the reasons I use different browsers set up very differently. One more funny detail with Google search: When starting the search in French, the first line (in Chromium incognito window) says "Conseil : Recherchez des résultats uniquement en français." I click that and the first two results (after some Google notification and images) are in English. The third result is in medieval Latin from books.google.ee, i.e. it goes by my IP. Your results are different, so it can be safely determined: The results depend more on where you are, less on what you are looking for. I have already experienced this with VPN. Any way you look at it, the language settings do not affect the results. 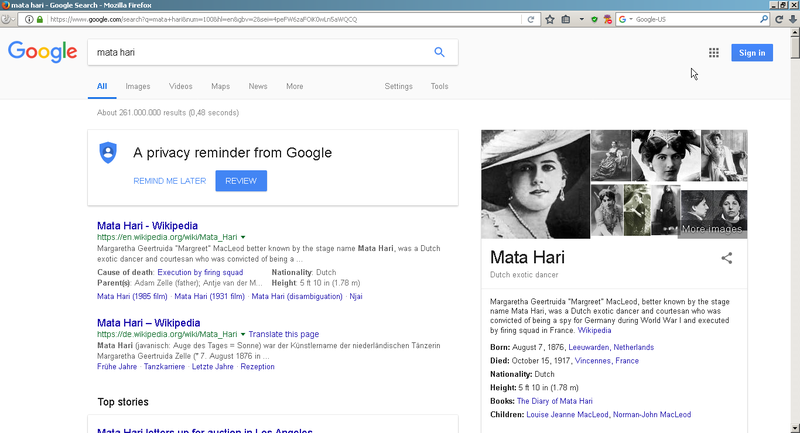 Google search engine has become basically useless, when it comes to languages.